Last week, fans discovered that the latest Pokémon games reference beloved Nintendo CEO Satoru Iwata, who died in 2015. The easter egg is touching, but it’s also kind of brief. Here’s the full story behind how Iwata saved Pokémon—and a closer look at why the man became so legendary. I thought I might just expire on the spot! But I’m glad we made it that way. 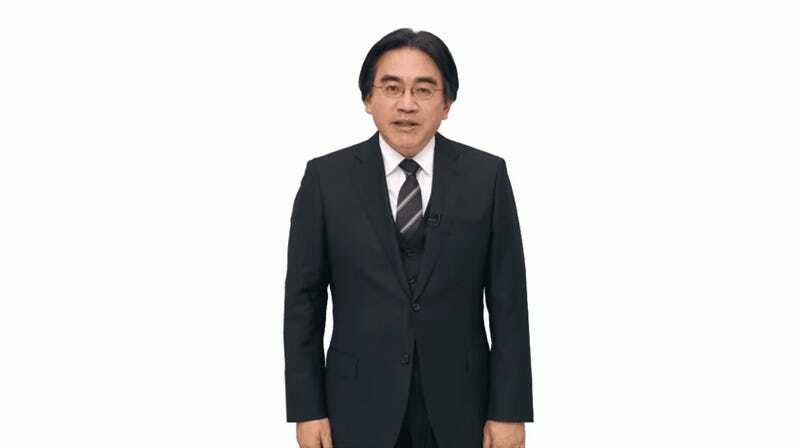 That amazing guy is of course Iwata. Some of you may have heard this story already, but here it is for those of you who haven’t. Infamously, Pokémon Gold and Silver had a troubled development cycle. At the time, Game Freak, the developers, literally only had four programmers working on one of the biggest gaming franchises in the world. Naturally, the team wanted to make the games as ambitious as possible, which only added to the strain. Making things worse, the explosive popularity of the franchise also meant that Game Freak had to find a way to port the original Red and Green to America, something that threatened to push the release of Gold and Silver even further. The other big wrench in the mix was that, midway through development, Game Freak apparently had to add another region to the game—and they hadn’t planned for that. Actually, they had no idea how to make it all fit onto a Game Boy cartridge. It was a mess. Iwata: At that time I wasn’t a Nintendo employee but was President of HAL Laboratory. At the same time, I was a board member at Creatures Inc. and I ended up being involved in analyzing the best way to localize the overseas versions of Pokémon Red and Pokémon Green. For that reason, I got hold of the source code for Pokémon Red and Pokémon Green and I would study that and suggest ways to localize it to the relevant department at Nintendo. Iwata: No, no, it’s fine! (laughs) Studying the program for the Pokémon battle system was part of my job. Morimoto: (laughs) I was really taken aback that you could get to grips with such a complicated program in such a short space of time. Iwata: Well at that time, I felt that for the whole team at Nintendo, the biggest priority was not to do anything that would adversely influence the development of Pokémon Gold and Pokémon Silver. So I very naturally slotted in on the development side for Pokémon. Iwata: Ah yes, the compression tools. Morimoto: You were kind enough to create those tools. Iwata: Yes. (laughs) Well, I had heard from Ishihara-san that you’d been rather concerned about it. Iwata: Being able to participate in that small way in Pokémon, I came to feel a real affinity for the software. In any case, while it was tough going, Pokémon Gold and Pokémon Silver were successfully released. Just one of many examples of Iwata’s programming brilliance. What a guy. Over at Serebii, you can read a catalog of the other trivia facts you can learn at the Game Freak offices. Did you know, for example, that the save sound is slightly different depending on what version of Pokémon you’re playing?